Having suffered with acne for the majority of my adult life, I've always been a fan of brands that recognise the need for sufferers to cover up. A lot of brands nowadays claim to sell full coverage products, with no real consideration as to what us girls may be trying to cover. Unless you've suffered with skin conditions such as severe acne or rosecea, you will never truly know how soul destroying it is, and the way it makes you want to hide away, your face is the first thing people see after all. 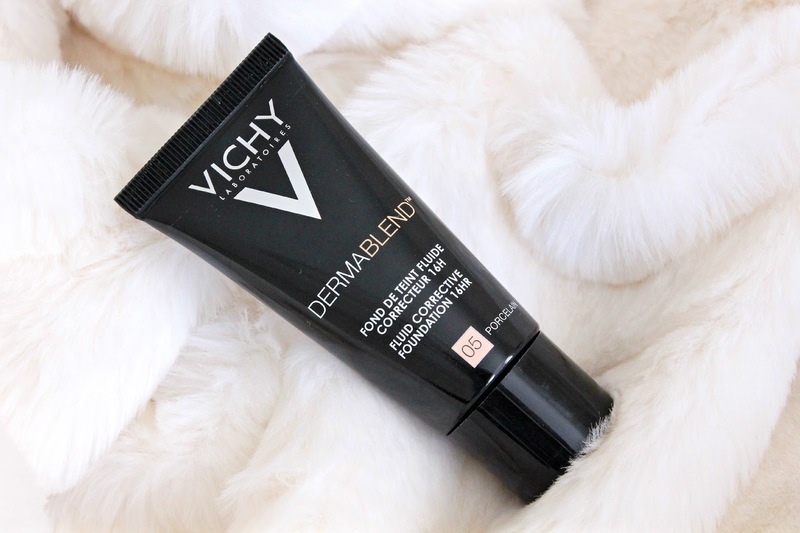 One brand which is known for it's full coverage range is Vichy, with their famous Dermablend range, which I've recently been putting to the test. My acne has been flaring up again in recent weeks (probably due to stress and the changing climate) so I really feel like I've been able to put the range through it's paces and understand just how great (or not so great) it is at covering acne and creating that 'perfect skin' look. The first product I tried from the range was the 16hr Fluid Corrective Foundation, which comes in a squeezy tube - perfect for dispensing the right amount. As you can see from the swatches above, the foundation is a little bit off shade-wise for me, as it's quite yellow toned (probably to cancel out any redness), and unfortunately I just couldn't make the shade work. I decided to persevere with this anyway and imagine that the shade was the perfect match, so that I could see whether the finish and coverage worked for me. Unfortunately the finish just wasn't great on me. The foundation settled into my pores and any scars/acne that I had on my skin and left my skin looking quite cakey, despite only using a thin layer. The foundation was also quite dewy which just didn't work with my oily skin - something I found strange as this product is targeted at acne sufferers, who quite often have oily skin. The one thing I'd say that this foundation had going for it was the coverage it offered. My acne and related scarring was covered up with ease and apart from the texture of the foundation showing my acne, it was otherwise undetectable. Although this product did cover my acne, I doubt that I would repurchase the correct shade as I just hated the finish and didn't find myself reaching for it. As well as the foundation, I've also been testing out the 16hr Stick Corrector. 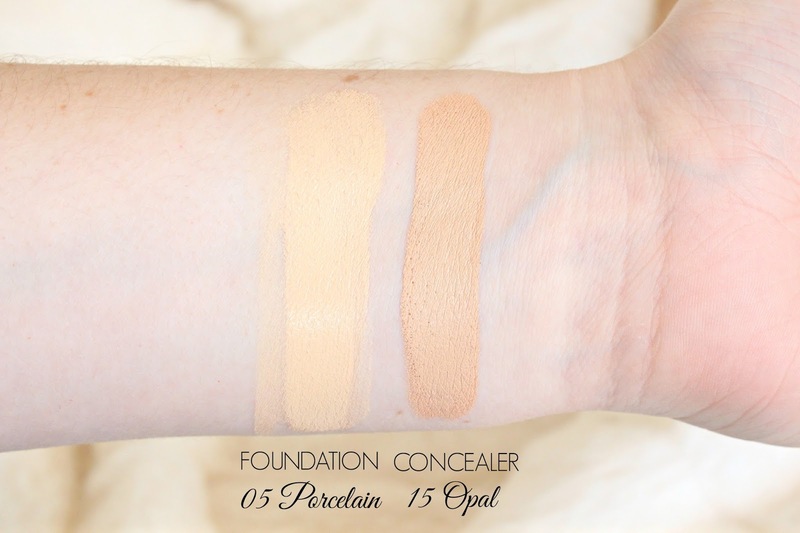 Now, I almost knew that I wasn't going to get along with this product - I'm a liquid concealer girl through and through - however I still put it to the test and hoped that I would be surprised. Unfortunately, my suspicions became reality and I just couldn't make this work for me. 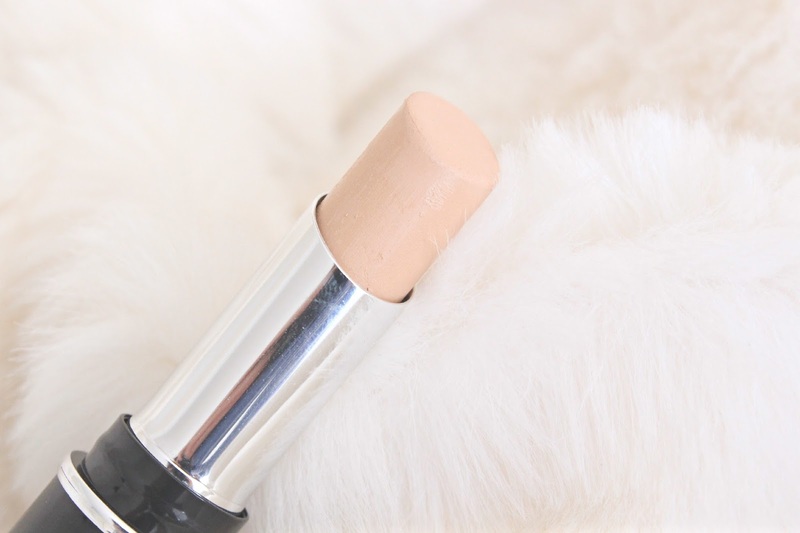 Apart from the shade being too dark and too yellow toned (again), I found this concealer extremely hard to blend out and it was often obvious where I'd used it. Again, the coverage it gave me was brilliant, but this wasn't enough to outweigh the negatives in this case, and I honestly think there's better concealers to be had on the high street. Lastly, I set both the foundation and the concealer with the Vichy Dermablend Setting Powder, which is one of the extremely fine translucent powders, a lot like HD powders. 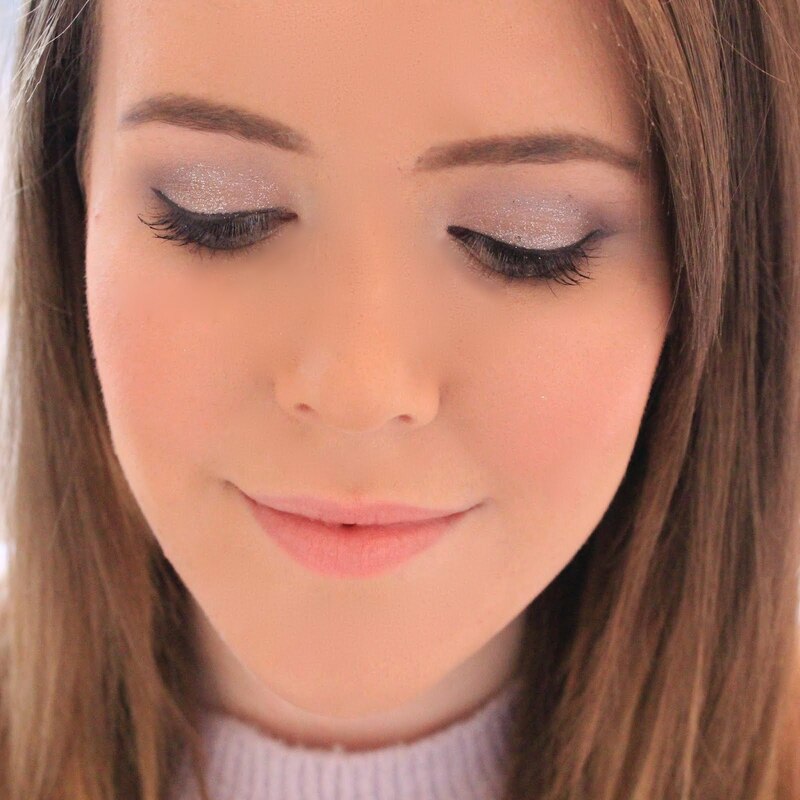 I found this powder extremely hard to work with as it didn't really seem to blend in, and left my face looking chalky with a strange white cast - not a good look. I tried applying the powder with different brushes and powder puffs but with no luck, so I think I'll be sticking to the MAC and MUFE options which I love so much. Overall, I was left a little disappointed with Vichy Dermablend. It seems like the product range is so focussed on coverage, that other areas seem to have been overlooked, and for me base products really need to have the whole package. *Thank you to Vichy for providing the products for this post. I've never tried Vichy Dermablend but I have heard a fair few people swear by it, although I'm glad to hear an honest review like this because it points out exactly why it doesn't work for you and I think it wouldn't work for me for the same reasons! yikes that sounds bad! I have heard nothing but amazing things about the foundation...I guess it doesnt work on everyone!